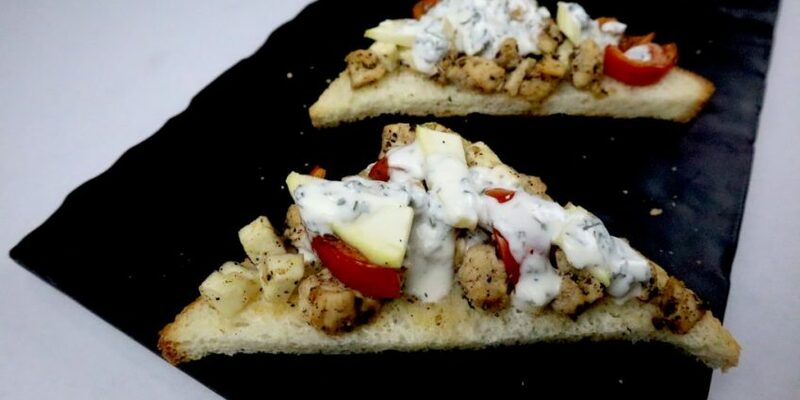 Chicken greek open toast is colourful and zesty toast recipe. 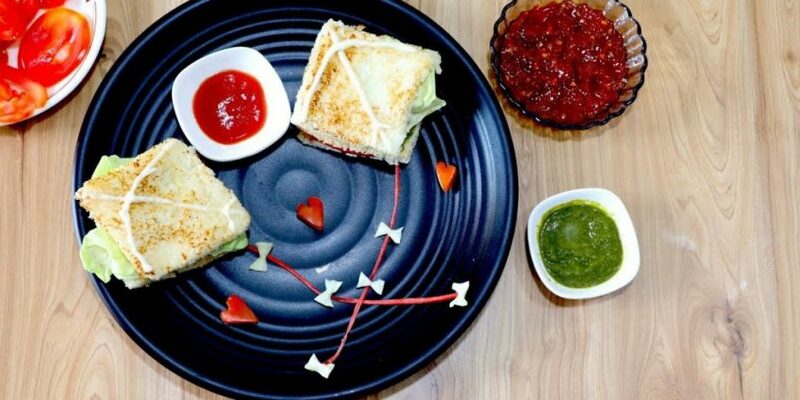 It is layered with some juicy cherry tomato, creamy paneer & chicken cubes topped with mouth refreshing yogurt sauce. It is a perfect breakfast toast. 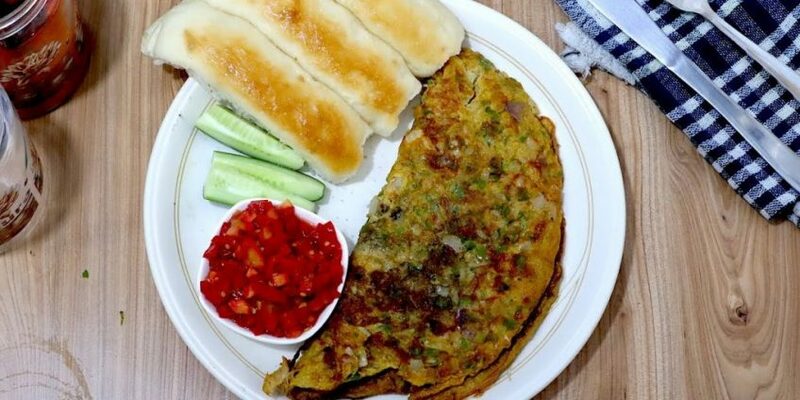 It is tummy filling toast that makes you go in the world of taste. It is made in greek style. The veggies & chicken are dressed in olive oil & greek ingredients. The first time I had it, I felt soft paneer in my mouth and of course, the yogurt was a game changer in the toast layering. Take a bowl. Add boiled chicken cubes, paneer cubes, chopped cherry tomato, olive oil, red vinegar, oregano, black pepper & salt to taste. Mix well. Greek salad mix is ready. Take a bowl. Add yogurt and chopped mint leaves. Mix well. Take bread pieces. Cut into triangular. Place salad mix on it. 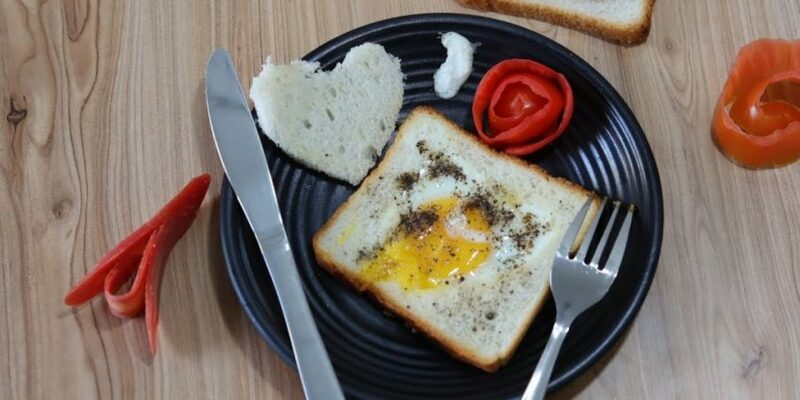 Garnish with yogurt mix. Toast the open toast in the preheated oven on 180 degrees for 5 minutes. 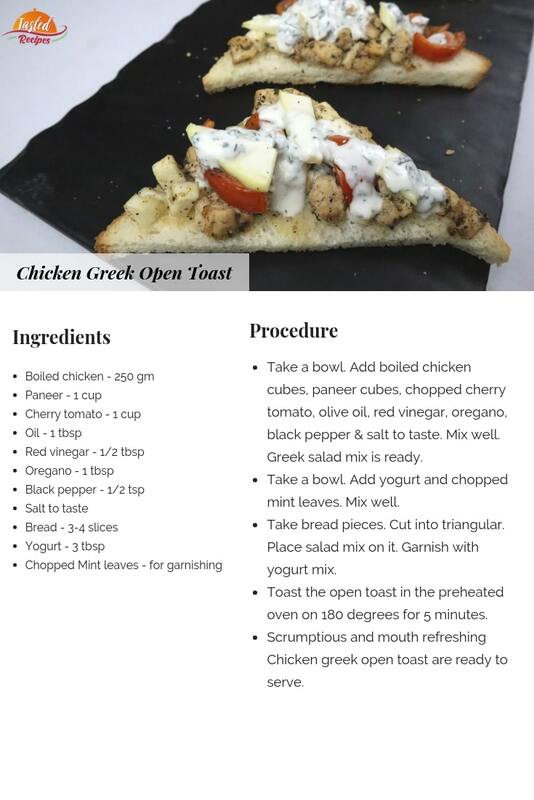 Scrumptious and mouth refreshing Chicken greek open toast are ready to serve.